Have you ever heard of earl grey tea? Earl grey tea is great for your health. Including it in your daily diet can be very beneficial for your health. 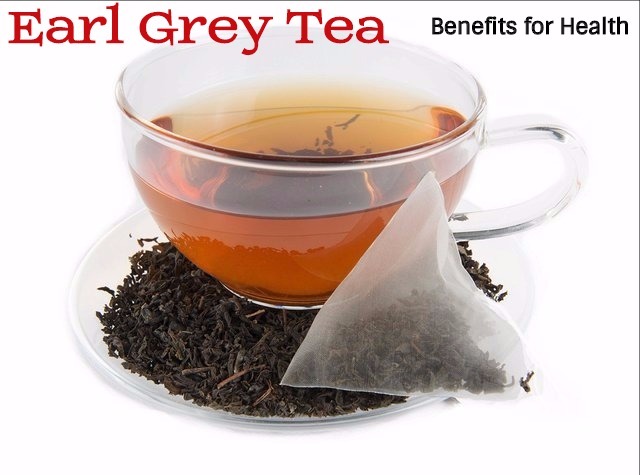 Earl grey tea is a category of flavoured tea blend. It is very popular in the Western world. This tea has a peculiar taste because it contains oil extracted from the zest of the bergamot orange. Bergamot is fragrant fruit that is yellow in colour. It is very similar to lemon and it has the size of an orange. Earl Gray is named after the late British Prime Minister Charles Grey. He was the Prime Minister of England from 1830 to 1834. It is said that one of his men rescued the son of a a tea blender from drowning. So, as a token of gratitude, the Chinese mandarin gifted the Prime Minister the recipe of making this tea. Earl Grey is made with black tea leaves. The taste and the quality of the leaves depend on the climate, geography of the region where the plant is grown, and how it is processed. The flavour can vary greatly with the place of cultivation, its processing style and the amount of bergamot used for each blend. So, all these factors can affect the quality of the tea. The bergamot is known for its antioxidant properties. Antioxidants help in fighting against the free radicals that can cause damage to the body. Black tea has been found to be a natural antioxidant. When black tea is combined with bergamot, it becomes even healthier. By taking this tea regularly you will stay healthy and beautiful because of its antioxidant properties. It can also protect you from cold and flu, and boosts your immune system. Bergamot is also a god antidepressant and is very effective for treating depression and for producing a calming effect on people. Earl Grey tea contains bergamot as one of its main ingredients. It can boost the mood of a person. Because of this, Earl Grey tea is used as a natural solution for people suffering from depression, mood swings and stress. The aroma of bergamot is said to relax you and make you think positive instead of being depressed, anxious and tensed. This tea contains caffeine in very small amounts. So, drinking this tea will not produce symptoms like sleeplessness. Nor does it make you jittery. Bergamot has the ability to improve digestion and therefore is very beneficial for people suffering from poor digestion. This tea is also said to provide you relief from constipation and nausea. It can reduce the symptoms of acid reflux as well. This tea is believed to provide you relief from urinary tract infection and is even used to treat intestinal issues like worms. Earl Grey tea contains good amount of fluoride in it and this is needed for the protection of your teeth. It is also good for reducing the cavities in the tooth. This tea also contains catechin, which is a natural antibiotic. It has the ability to fight against oral infections and to prevent the early signs of gingivitis. Earl Grey tea being sugar-free, does not allow bacteria to grow in your mouth. This way it reduces the formation of acid that damages the tooth enamel. Bergamot oil is used as a natural disinfectant. It can help in fighting against mild infections in your throat and mouth. If you are consuming coffee to get energized, it will be a better idea to drink earl grey tea instead. It is low in caffeine and therefore the best alternative to caffeinated drinks. Just add a few tea bags and then add honey and lemon instead of sugar and cream. This provides the best effects. Earl tea is a zero calorie beverage and is rich in potassium. Potassium helps in maintaining the fluid balance of the body and also helps in keeping your body well hydrated. By adding honey instead of sugar and lemon instead of cream, this effect is enhanced. Earl Grey tea is a healthy alternative to coffee as it contains only about half the amount of caffeine that is found in one cup of coffee. You can lower your risk of suffering from heart diseases by drinking 3 cups of earl grey tea daily. It has been proved that those who drank 3 cups of black tea daily have low levels of triglycerides in their body, while the levels of good cholesterol will increase. An increase in the level of antioxidants was also found in these people. Earl grey tea is beloved to be very beneficial for boosting the functioning of the immune system. This is because of the presence of bergamot in high amounts in this tea. Bergamot contains good amounts of antioxidants that can fight against free radicals that can harm the body. These antioxidants have the ability to reduce fever, fight infections as well as treat and manage acute and chronic health conditions like cardiovascular disease. One of the most popular effects of earl grey tea is weight loss. This is due to its citrus extract. Some people believe that even citrus fruits can help in losing weight. The calories are broken down into food for the muscle or they get released through the natural metabolic processes. So, instead of adding cream or sugar, you can add lemon and this is great for weight loss and other health benefits.